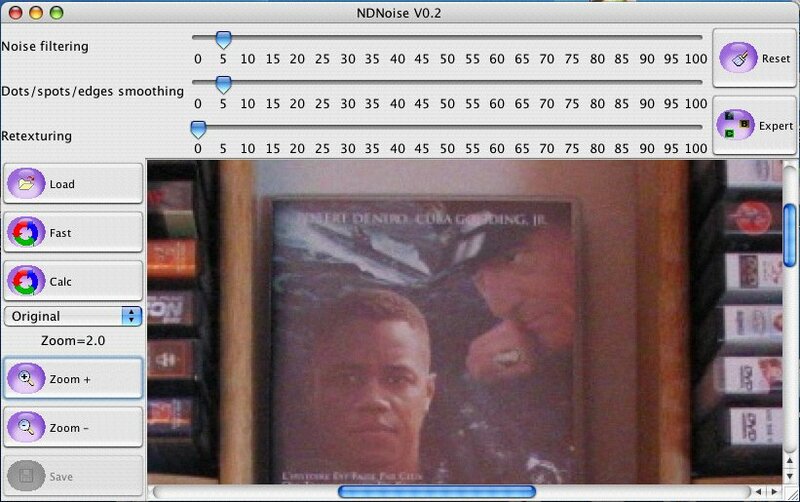 NDNoise is a Java-based freeware that enables to remove noise in digital images. NDNoise is free to use for private and not commercial purposes. For any other purposes, thanks to contact me directly (see readme.txt file for addresses infos). Thanks to Anthony for his wondeful NeuQuant algorithm ! Thanks to Rodrigo for his nice JSmooth wrapper. 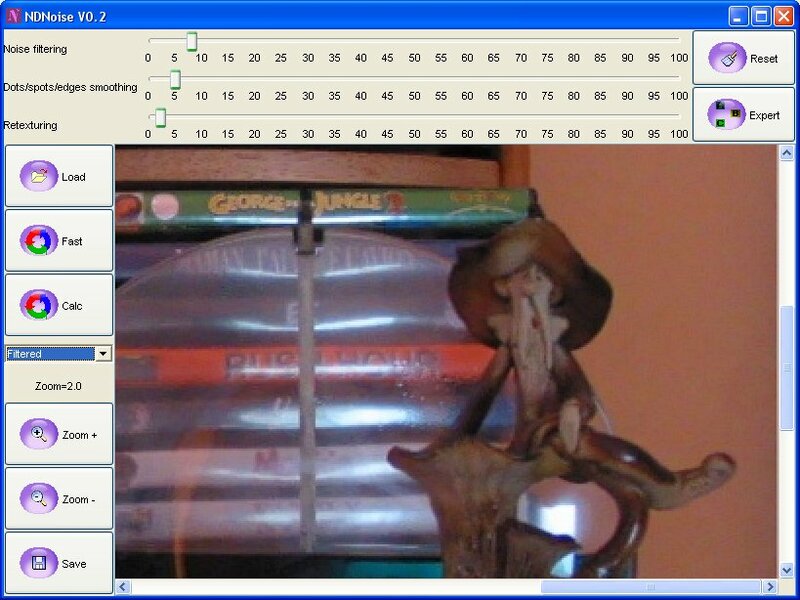 My freeware wouldn't have been without all of them !! If you like this freeware, become a free software militant : make a small encouraging donation (10 Euros would be nice, more would be wonderful) ! Important : to work properly on Mac, NDNoise application should not be in an inclusion of folders with one having a space in its name. Don't name your folder like "NDNoise Folder", but rather like "NDNoiseFolder" or "NDNoise_Folder". when you are ready with all images, press [Save] button ! You can discuss, ask, read about NDNoise on the dedicated forum .